Yesterday, Bondings 2.0 surveyed Pope Francis treatment of LGBT issues during his visit to Washington, D.C. Today, as the pope begins his schedule in Philadelphia, here are some LGBT Catholic takeaways from New York City. Pope Francis’ address to the UN General Assembly, the fifth such occasion for a pope, avoided any direct condemnation of LGBT rights even though the UN is increasingly active in defending all sexual and gender identities. At least one critic, writing in The Advocate, has questioned whether those “anomalous models and lifestyles” are a reference to homosexuality. At one point, Pope Francis criticized the still undefined term “gender theory: during his appeal for natural law reasoning, saying “natural difference between man and woman” must be respected. More positively, Francis’ repeatedly attacked exclusion as the bedfellow of degrading creation and said “social exclusion is a complete denial of human fraternity and a grave offense against human rights and the environment.” Again, though not directly citing LGBT people, his words are readily applicable to those sexual and gender diverse minorities globally who suffer profound social exclusion. 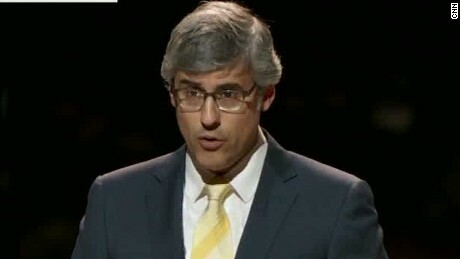 Rather than Pope Francis’ words or acts, it was comedian and journalist Mo Rocca’s scriptural reading during Mass at Madison Square Garden which is most striking for LGBT advocates. Rocca is not only Catholic, but is openly gay after coming out publicly in 2011. He said on Twitter that he was “deeply grateful and humbled to have delivered a reading at a Mass” celebrated by Pope Francis. Many people on the social media channel quickly noted Rocca’s sexual orientation, reported NBC News. It is indeed significant that in a time when LGBT Catholics find themselves unwelcome in many U.S. parishes and more than fifty church workers have lost their jobs in LGBT-related disputes since 2008. Pope Francis’ homily may explain, in part, the welcome Rocca received. 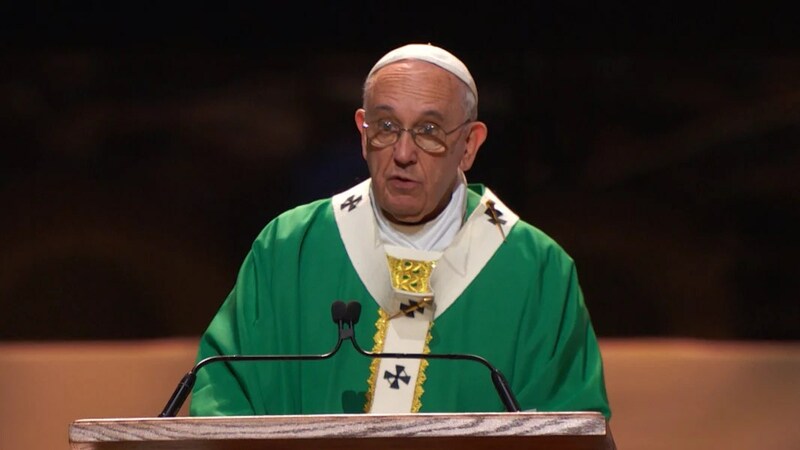 The pontiff heartily affirmed diversity and said cities contain the “hidden riches” of “cultures, traditions, historical experiences. . .all the different ways which we human beings have discovered to express the meaning of life.” He repeated his condemnation of social exclusion. His gratitude for the sisters comes just months after the Vatican’s investigation of the Leadership Conference of Women Religious (LCWR) concluded. Pope Francis continued praising the sisters for being on “the front lines in the proclamation of the Gospel. . .the front lines in meeting the challenges of adapting to an evolving pastoral landscape,” seemingly the very reasons LCWR was investigated in the first place–which included their support of LGBT issues, generally, and New Ways Ministry, specifically. As I noted yesterday, Pope Francis’ visit to the U.S. has been quite ambiguous when it comes to LGBT topics, a sharp contrast to many American bishops’ culture war mentalities. Foremost among such bishops is Archbishop Charles Chaput of Philadelphia, where Pope Francis now concludes his visit over the weekend. Will Francis will speak more clearly and at length about marriage and family life in the city where the World Meeting of Families has just concluded. Already, the pope is drawing criticism from LGBT advocates but I am sticking to a “wait and see” approach. Check back in the coming days for Bondings 2.0‘s ongoing coverage from Philadelphia and analysis about LGBT Catholic outcomes, reactions, and next steps after Pope Francis’ U.S. visit concludes on Sunday. To read Bondings 2.0‘s full coverage of Pope Francis’ visit to the U.S., click here. According to a woman interviewed by Anderson Cooper last evening regarding the Mass at St.
Pat’s, there were no women on the altar. This is no surprise to me as clergy has the power. My point is to see the progress of the LGBT movement in context of a church that sees even straight women as a threat. Second, when Papa says female-male distinction has to be respected (paraphrased), I do not believe that is a criticism of us as LGBT advocates because we of course we recognize male-female complementary reality. It just isn’t the ONLY way of living and being as a completion to another human being. Third, when Ron’s mom is criticized for sharing her own personal reaction to her son coming out this might be interpreted as hypocritical on our part. Hear me out, if we expect “them” to listen to our personal stories, we have to be willing to listen to theirs even, especially when we don’t like what they are saying. Finally, I was at the WMoF and when a less than professional speaker made reference to homosexual relationships as sin, delfin bautista interrupted her and said, “my love for my husband is not a sin.” Total silence. She had no response. That to me is a HUGE victory. She didn’t like at all what they (delfin’s requested pronoun), but she heard it as did the other several hundred people many of whom erupted in applause ending the stunned silence. I attended Ron’s and his mother’s presentation. The “worse day in her life” was not about Ron’s coming out. It was instead Beverly’s concern about how Ron’s father would respond to his coming out. During the in depth para WMoF gathering, described in an earlier blog , Beverly’s concern was clarified. Thank you for your excellent coverage of how the Pope treats LGBT issues during his US visit. This is exactly what I want to know, and I could not find it anywhere else. God bless you!